Are you ready to get the promotional lead out for your motocross competition? 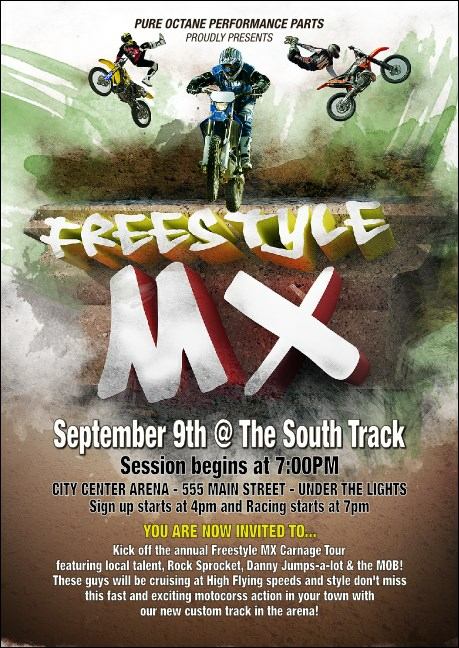 Send out individual Freestyle MX Club Flyers and start ramping up your guest list in advance. Each Club Flyer features a tagged up background with three riders performing their best tricks on the track. TicketPrinting.com helps you take freestyle to a new level.